In Australia, swashbuckling Captain Matthew Flinders has a university, a mountain range, an island, a town, and two national parks named after him. His life story reads like an adventure novel. But at home in England, he’s been all but forgotten—until archaeologists digging in a London cemetery rediscovered the discoverer. Matthew Flinders was born in 1774. He joined the Royal Navy at age 15. According to biographer Ernest Scott, Flinders was “induced to go to sea . . . from reading Robinson Crusoe.” Undeterred by pirates and cannibals, young Flinders sailed with the legendary Captain William Bligh. Bligh’s exploits in the South Pacific are the basis for the book Mutiny on the Bounty. It was Bligh who taught Flinders navigation and chart making. Fearless Flinders traveled three times to the little-charted Southern (Antarctic) Ocean. During his second voyage, he identified Tasmania as an island. On the third, from 1801-03, Flinders circled the entire mainland of what would one day be called Australia—thanks in great part to Flinders’ writings. With him, he took a much-loved cat named Trim and a native guide and interpreter named Bungaree. Flinders’ maps of that part of the world were published in a lengthy account of his expeditions, A Voyage to Terra Australis. Heading home to Great Britain after his Australian sail-around, Flinders’ ship stopped for repairs at Isle de France (modern-day Mauritius). The French governor of Isle de France detained him as a spy. He spent six years under house arrest on the island. Flinders finally returned to Britain in 1810, but his travels had ruined his health. He died in 1814 at age 40 and was buried in St. James’s Piccadilly cemetery in London. 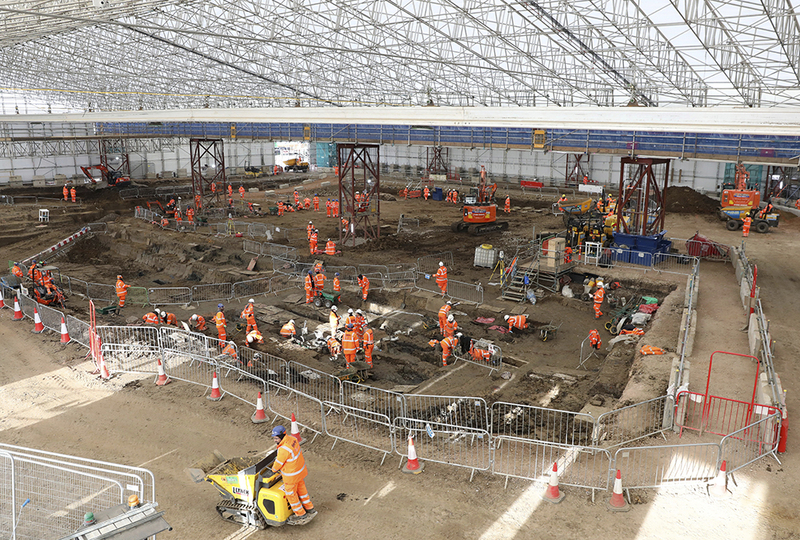 In January 2019, archaeologists working on further railway expansions dug under a train platform. 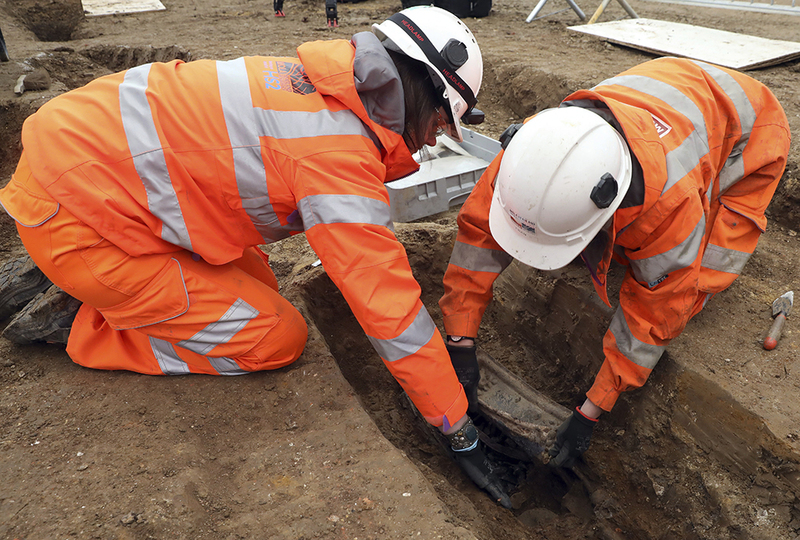 They knew they would be displacing about 40,000 graves to make way for HS2, a high-speed rail project. 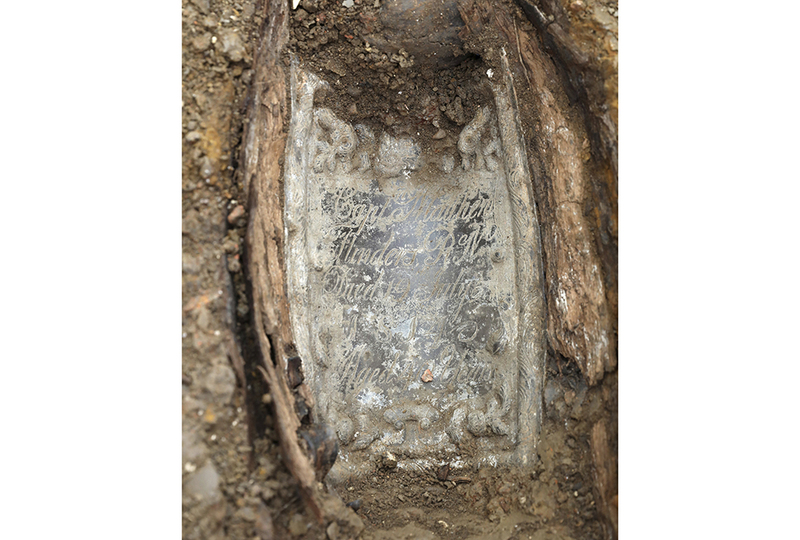 Workers found numerous tin grave markers. Most were too decayed to read. But one sturdy lead plate caused excitement. It read “Capt. 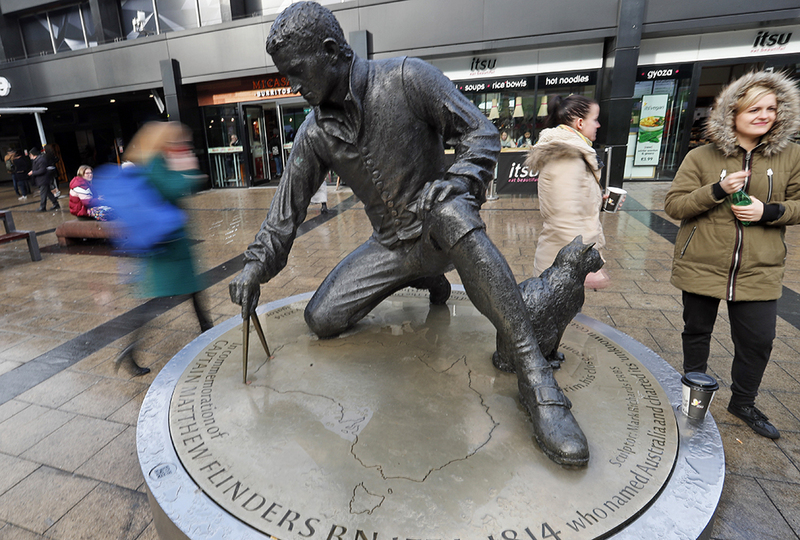 Matthew Flinders.” The lost was found. Scientists hope to study how a life at sea affected Flinders’ bones. And the adventuresome sea captain is getting some centuries-overdue attention. 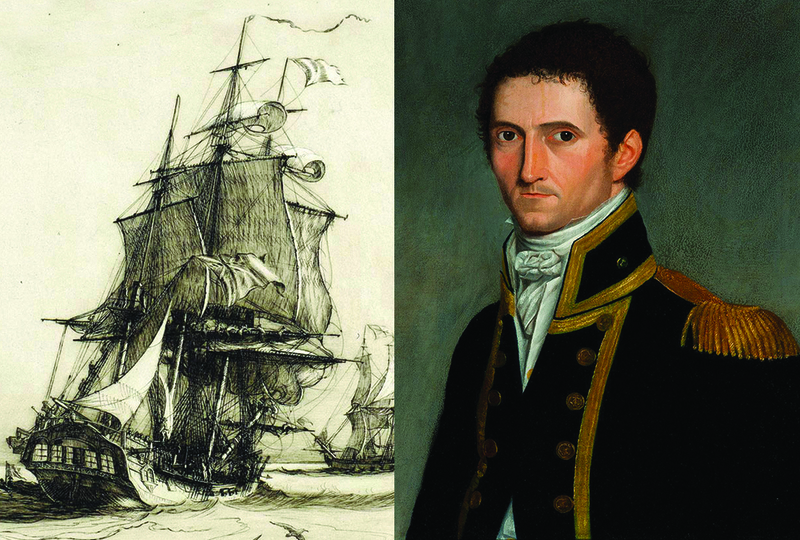 Slideshow Captain Flinders' Remains: Found! Captain Flinders sounds like a cereal box mascot! Wow. This Captain Flinders sounds like he was a great guy. I'm glad he's finally getting some attention! !! I think we are going to learn aabout him soon. This is amazing. I am glad that they had found the remains of a historical figure. Many of the people in history have been lost or forgotten--or both. I have always wondered about where those people have gone, and where they have been buried. To find out that one of them have been found after being lost for so many long years is exciting for me. I love history, especially of those who have discovered new lands (Islands, countries, continents). wow! you seam pritty good at historie! how mch money are tha remains worth HMMM? i don't know? a lot?!! Okay random comment but does anyone know a recent article that Drew H has posted on? I need to ask him a question. try typing the name into the search box.